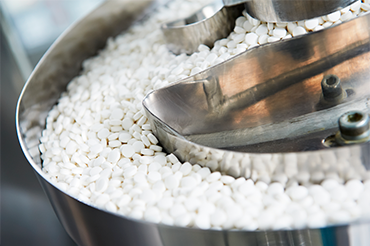 Our variety of high purity and chemical resistant coatings are developed specifically to meet the rigorous demands of sensitive medical and pharmaceutical industry. Our F-LON® coating range, includes a wide range of fluoropolymers such as PTFE, PFA, ECTFE, ETFE and Ceramic coatings. These are backed up by our strong partnerships with major suppliers including DuPont (Teflon®), Whitford (Xylan®), Solvay (Halar®), Arkema (Rilsan®) and Thermolon™. *Any use of coatings for medical applications that involve the implantation in the human body or contact with internal body fluids or tissues (whether permanent or temporary) is NOT recommended. The coatings are designed for industrial and consumer use. Fluorocarbon Surface Technologies does not apply any medical grades of coatings or other materials, and has not conducted any clinical tests or studies concerning the suitability or efficacy of coatings or other materials in medical uses.